"I hate music, what is it worth? 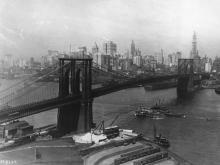 / Can't bring anyone back to this earth," the band Superchunk sings. 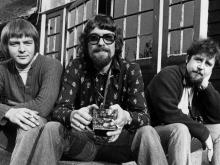 It's the kind of sentiment you'd imagine someone blurting out with bitter spontaneity, but it's not really music the band hates; it's the despair and grief to which their music bears witness. Superchunk's new downbeat-but-upbeat album, I Hate Music, is dedicated to a close friend who died last year. Cats have come a long way from being animals charged with catching mice to treasured, adorable creatures that snuggle with us in our beds. But this relatively new arrangement is creating issues for cats and the people who live with them. John Bradshaw has studied the history of domesticated cats and how the relationship between people and cats has changed. 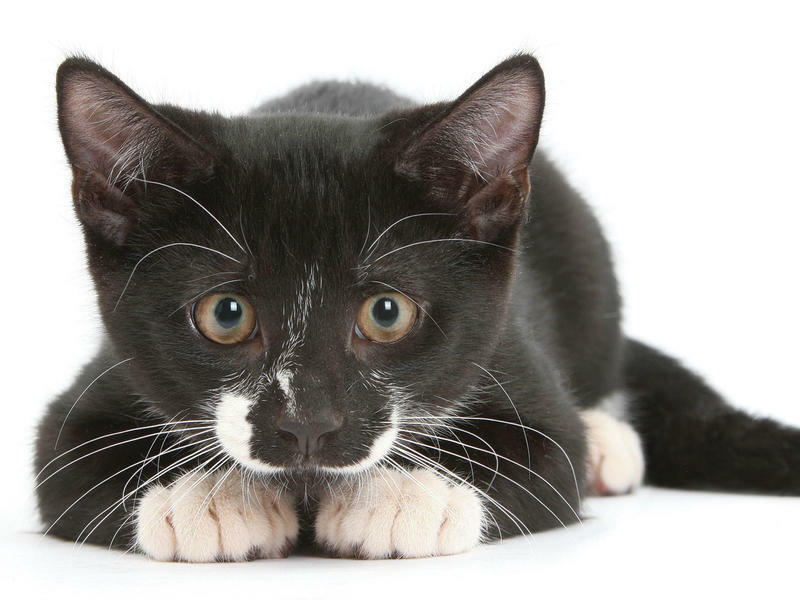 He's the author of the new book Cat Sense: How the New Feline Science Can Make You a Better Friend to Your Pet, which is a follow-up to his book Dog Sense. In 2004, 16-year-old Lamont Adams was shot more than a dozen times near his home in North Philadelphia. 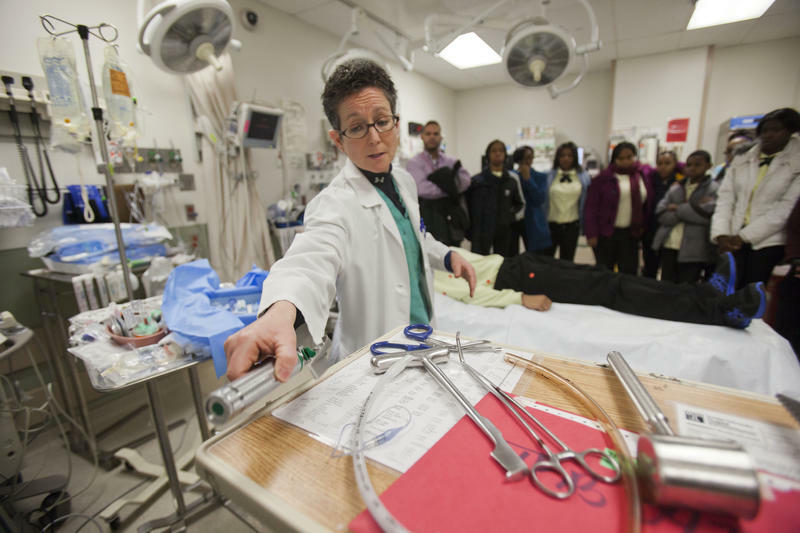 He was taken to Philadelphia's Temple University Hospital, where trauma unit head Dr. Amy Goldberg fought to save his life. Goldberg lost that battle and Lamont died shortly after arriving at the hospital, but after treating so many gun injuries and watching so many victims die, Goldberg decided to make a change. Endurance, going the distance, sucking up the solitude and the brine: I'm not talking about the glorious Diana Nyad and her instantly historic swim from Cuba to Key West, but of the ordinary heroine whose life is the subject of Alice McDermott's latest novel, Someone. "Ordinary" is a word that's used a lot to describe McDermott's characters, mostly Irish and working class, mostly un-heroic in any splashy way. 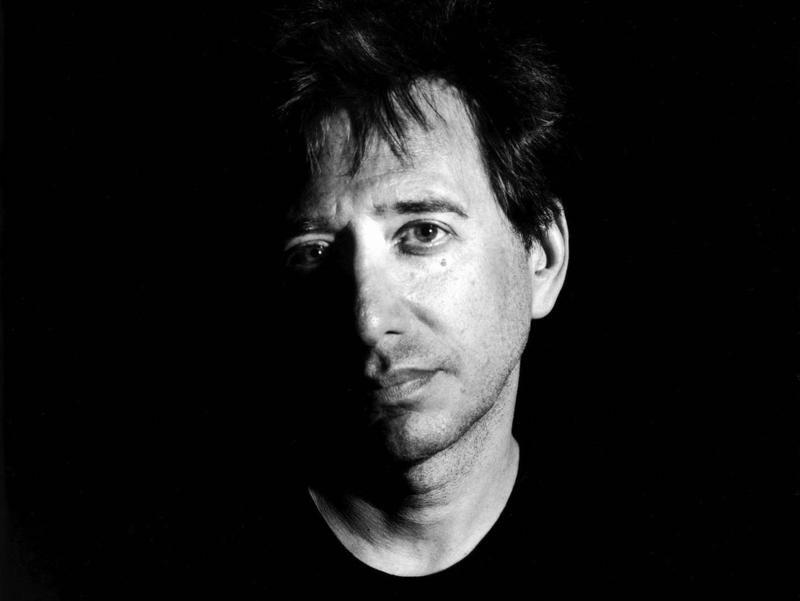 At 60, New York City-based composer John Zorn is wiser, sure, but no less prolific, thoughtful and antagonistic than before. His oeuvre is fantastically wide, from cutthroat jazz improvisation and pummeling noise-rock to gorgeous chamber music and, believe it or not, a genuine Christmas album. This interview was originally broadcast on July 17, 2013. When singer-songwriter Jason Isbell used to get drunk, he'd sometimes tell his then-girlfriend, the musician Amanda Shires, that he needed to quit the bottle — and that if it was going to take, he'd have to go to rehab. Eventually, she said the next time he told her that, she'd hold him to it. And she did. And he went. And, he tells Fresh Air's Terry Gross, "The jury is still out on whether or not it worked, but it worked today and all the days leading up to this." 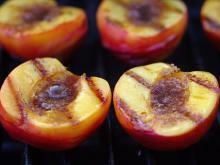 'America's Test Kitchen' On Grilling Peaches, Tofu And Burgers: Bridget Lancaster and Jack Bishop advise using ripe fruit, extra-firm tofu and poking your hamburgers so they don't puff up like tennis balls. This interview was originally broadcast on June 24, 2013. 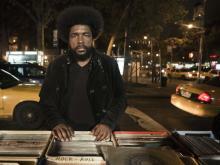 Questlove's hip hop band The Roots is preparing to move from Late Night to The Tonight Show when Jimmy Fallon takes over as the host in February. We kick off this hour with a conversation between TV critic David Bianculli and Fresh Air host Terry Gross about the history of Tonight Show bands. This interview was originally broadcast on May 23, 2011. It's easy to make fun of a certain kind of therapeutic language — the kind you hear all through the movie Short Term 12. That title comes from the name of a group home for abused and/or unstable teens. Early on, a young counselor named Grace (Brie Larson) tells one smart-mouthed kid that "your attitude is not helping either one of us" — which would tend to make her a repressive drag in a typical Hollywood teen picture. This interview was originally broadcast on Jan. 29, 2013. This year, Jimmy Kimmel's late-night ABC talk show, Jimmy Kimmel Live, joined the 11:35 p.m. nightly lineup — which put him in direct competition with two reining comedy kings: Jay Leno and Kimmel's idol, David Letterman. Kimmel, who paid tribute to Letterman at the Kennedy Center Honors in December, didn't break the news to Letterman himself. Conan O'Brien has probably had the most unusual career trajectory of any current late-night host. 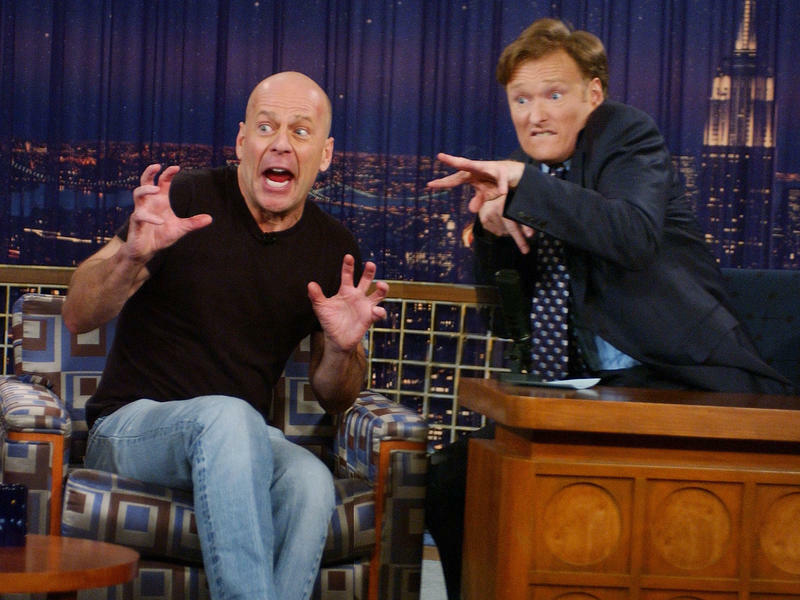 When he joined NBC's Late Night in 1993, replacing David Letterman, he had virtually no on-air experience. He did, however, have comedy-writing chops: O'Brien edited the humor magazine The Harvard Lampoon as a student, then wrote for Saturday Night Live and was a writer and producer for The Simpsons. 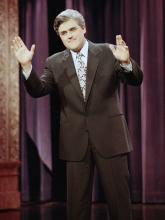 In 1992, when Jay Leno took over from Johnny Carson on The Tonight Show, he was already a familiar presence, having served as one of Carson's regular substitute hosts. 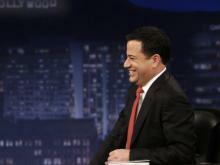 Despite that experience, Leno's first few years on Tonight were rocky. "When he started, when he was up against Letterman, Letterman beat him for the first couple of years," critic David Bianculli tells Fresh Air's Terry Gross. "But once Leno came ahead, he was unstoppable. He never lost that audience." Imagine David Letterman sitting in the reception area where you work, going virtually unrecognized. That's how it was in 1981 when Letterman visited WHYY in Philadelphia to be interviewed by Terry Gross on Fresh Air, then a local program. Prolific crime novelist Elmore Leonard died Tuesday at the age of 87. Leonard was known for crisp dialogue and memorable villains. "The bad guys are the fun guys," he said in a 1983 interview. "The only people I have trouble with are the so-called normal types." Many of Leonard's books and short stories were adapted to films. Those books include Get Shorty, The Big Bounce and Rum Punch, which became the Quentin Tarantino's Jackie Brown. 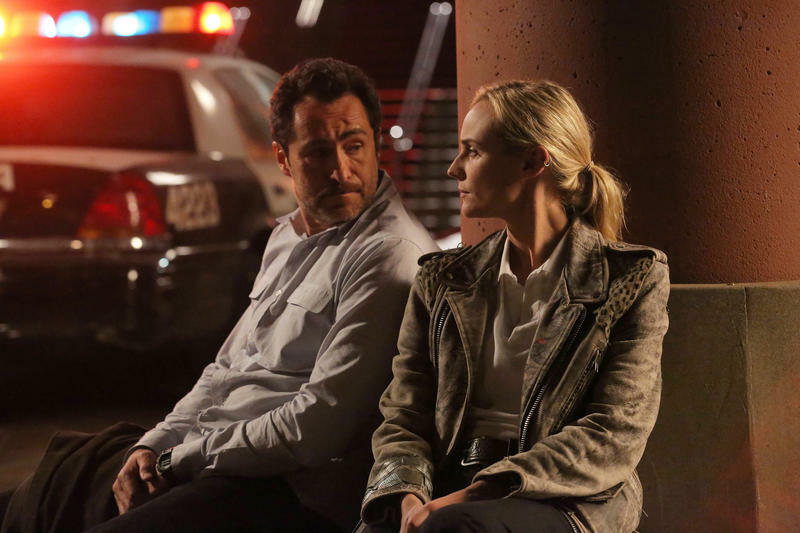 His short story "Fire in the Hole" was the basis for the FX TV series Justified. The World's End is a world-shaking, genre-bending, sci-fi comedy, and a splendid capper to what British writer-director Edgar Wright and actor-writer Simon Pegg call their "Cornetto trilogy," for an ice cream they eat on their side of the Atlantic. This one's arguably the best of the three, but who wants to argue over gorgeous satires like Shaun of the Dead, Hot Fuzz and The World's End? It's like ice cream flavors: Have them all. 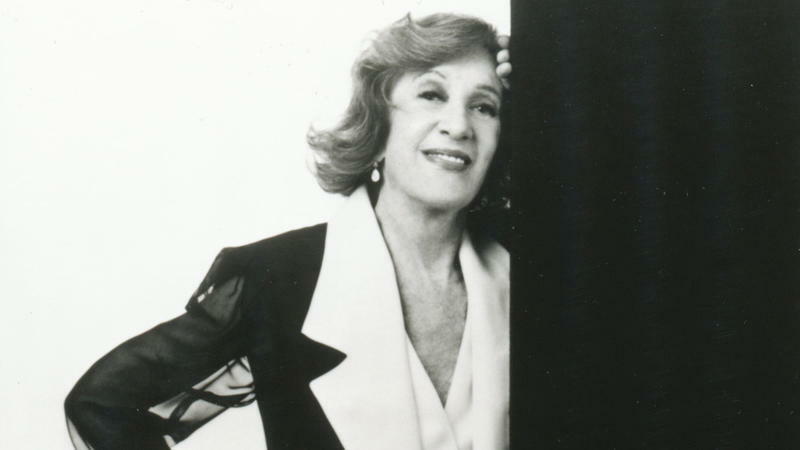 For more than 30 years, jazz pianist Marian McPartland hosted one of public radio's most beloved shows, Marian McPartland's Piano Jazz. As NPR's Felix Contreras writes, she "gave the world an intimate, insider's perspective on one of the most elusive topics in music — jazz improvisation." McPartland died of natural causes on Tuesday at the age of 95. When Raymond Chandler first set Philip Marlowe walking down the mean streets of L.A., he couldn't have imagined that eventually every city, from ancient Athens to 21st century Bangkok, would have its own detective series. Of course, they're not all equally good. 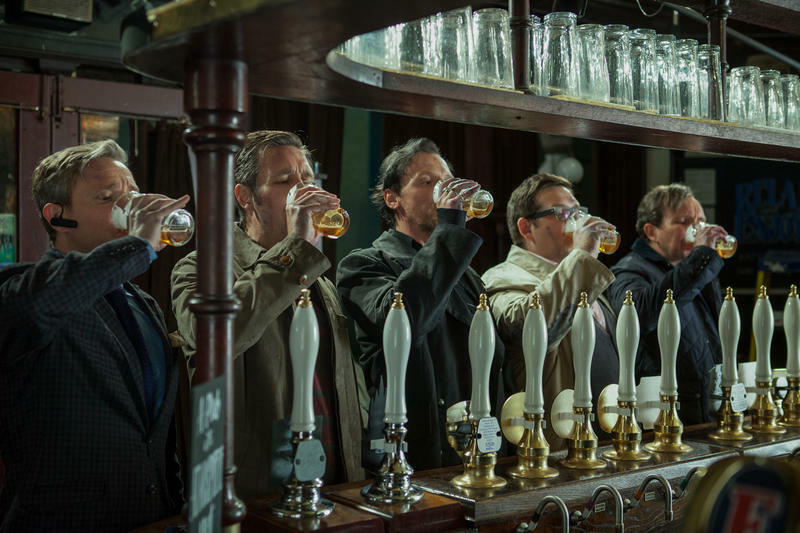 If you've ever participated in a miserably long pub crawl, you'll understand the plight of the characters in The World's End, the latest from Simon Pegg, Nick Frost and Edgar Wright. 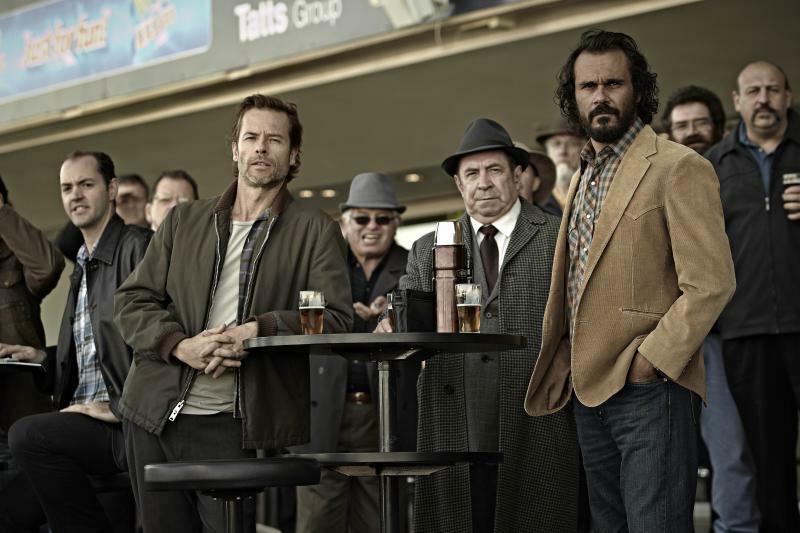 The film follows five old high school friends who reunite to finish a pub crawl they started 20 years earlier. But as they travel from pub to pub in their old hometown, they find strange, supernatural things start to happen. 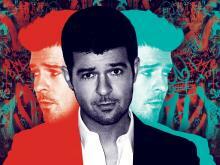 Robin Thicke exudes a kind of oily charm that is, with the right material, by no means off-putting. A prime example is the single "Blurred Lines," which gives you the complete Robin Thicke Experience. The song is a come-on, because basically all Thicke does in his music is try to put the make on women. What prevents him from being too creepy is that he's also genial, even gentlemanly and debonair, when the object of his lust shoots him down. 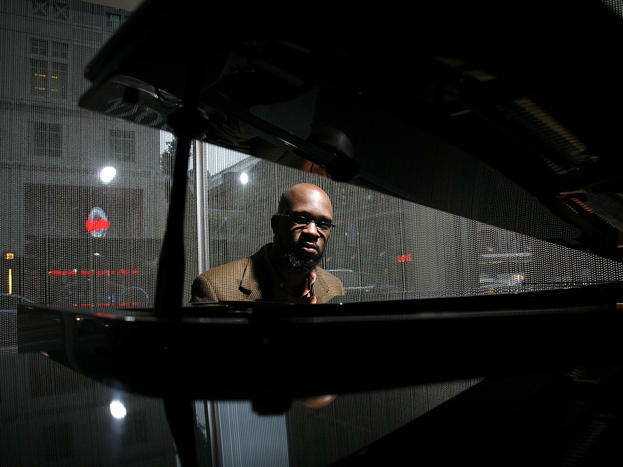 On Philadelphia pianist Orrin Evans' trio version of Ornette Coleman's "Blues Connotation," drummer Donald Edwards and bassist Eric Revis set a New Orleans second-line groove tinged with vintage hip-hop. A beat like that is catnip to Evans, who gets right down and rolls in it. Today's Internet users have become accustomed to stories of hacking, identity theft and cyberattacks, but there was a time when the freedom and anonymity of the Web were new, and no one was sure what rules — if any — applied to its use. Many thought the Internet was beyond government regulation, its very chaos a source of creativity and strength. 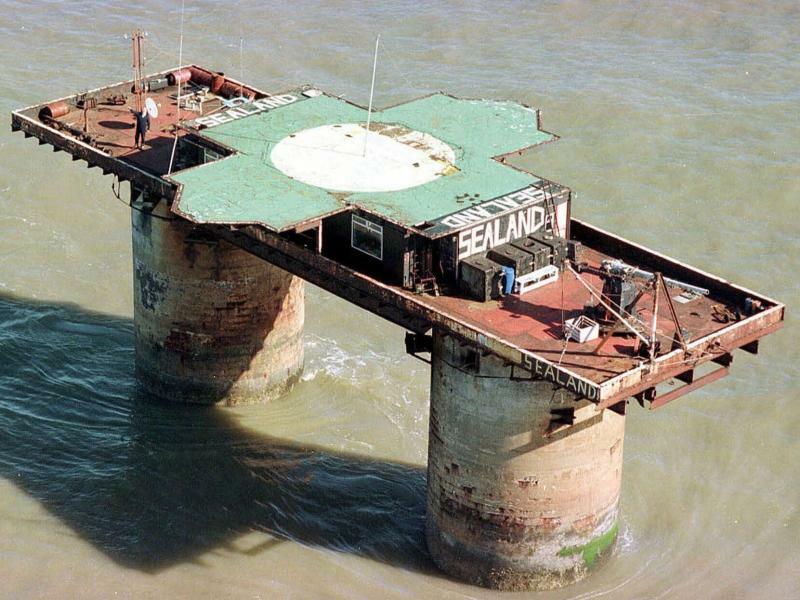 One of the most intriguing figures of 20th-century warfare is T.E. 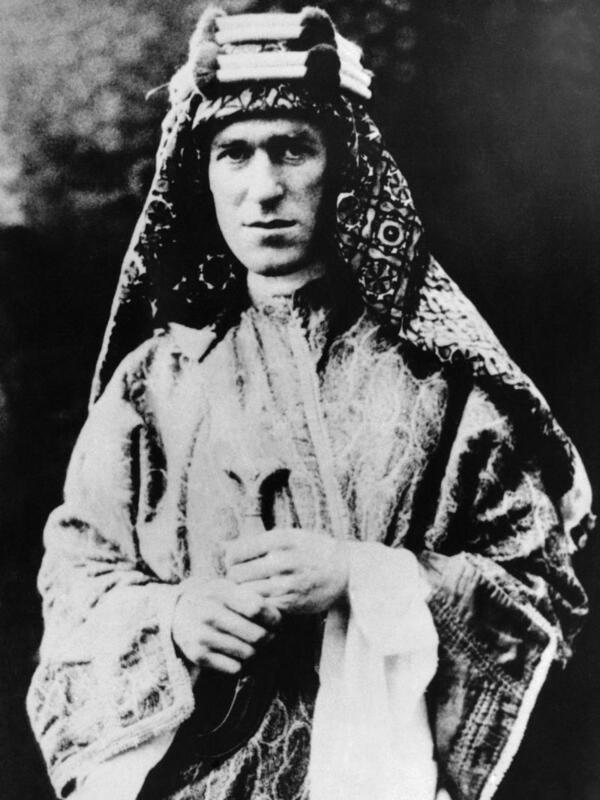 Lawrence, the British army officer who immersed himself in the culture of the Arabian Peninsula's Bedouin tribes and played a key role in the Arab revolt against the Ottoman Turks during World War I. He became a well-known and romanticized figure in post-war England, and was immortalized in the 1962 film Lawrence of Arabia. This interview was originally broadcast on Aug. 21, 2012. 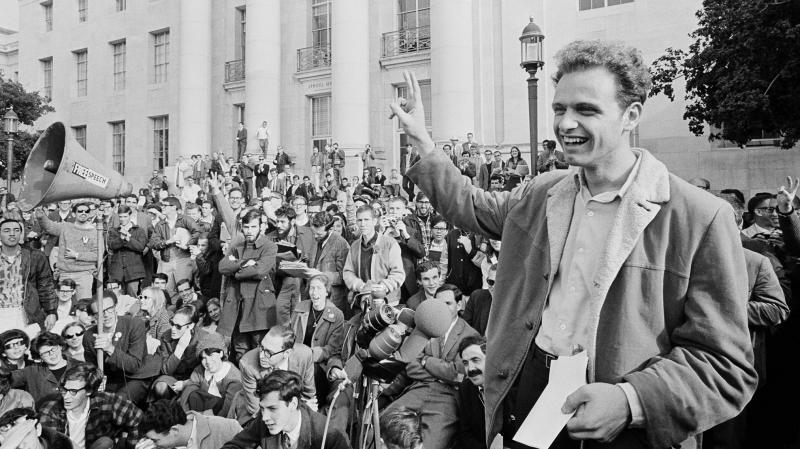 In 1964, students at the University of California, Berkeley, formed a protest movement to repeal a campus rule banning students from engaging in political activities.